The EU Ecolabel was established in 1992 by the European Commission. The system was only originally intended for the labelling of products but it has also been possible to label services with the EU Ecolabel since the year 2000. It is awarded to products and services that have less impact on the environment than comparable products. The EU Ecolabel aims to give consumers the opportunity to identify more environmentally friendly and healthier products and services. The label covers a wide spectrum of product groups from cleaning products, textiles, lubricants, paints and lacquer through to tourist accommodation companies and camp sites. The following are currently excluded from being issued with the EU Ecolabel: food, drinks, medicines and medical equipment. The EU Ecolabel is recognised in all 28 member states of the EU, as well as in Norway, Iceland, Switzerland and Turkey. The owner of the label is the European Commission. The most senior body is the European Union Ecolabelling Board (EUEB). Its tasks include providing support in the development and revision of the relevant criteria for the EU Ecolabel and also supporting their implementation. The EUEB comprises representatives from the individual member states (the competent bodies) and other members from industry, environmental and consumer associations, unions, small and medium-sized enterprises and trade. 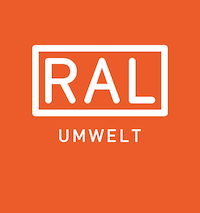 The Federal Environmental Agency (UBA) and RAL gGmbH have been named the competent body for Germany by the European Commission since 1992. The Federal Environmental Agency is responsible for the technical side of the development and revision of the award criteria and provides RAL gGmbH with specialist support in the processing of applications. RAL gGmbH checks the submitted applications for the use of the EU Ecolabel and, following a successful review process, concludes corresponding contracts on the use of the environmental label with the respective label holders. Further information on the EU Ecolabel can also be found at www.ecolabel.eu. You will find all of the required information here in English about the environmental label system itself, background information, events, meetings and contacts for other competent bodies in the various member states. Answers to many questions can be found in the FAQ section. You can also find out more information from the Federal Ministry for the Environment, Nature Conservation and Reactor Safety (BMUB).